We are experienced, fast and 24/7. If your garage door cables broke, you can count on our immediate arrival at any place in Vancouver. It’s our job to take care of your problems and rest assured that we are the best in British Columbia when it comes to cable services. Our technicians are experts in all services related to spring cables since their importance to the garage system is colossal. Their job is to lift the door and make sure it is lowered down properly. Our job is to ensure they operate alright and their problems are solved quickly. Customers can expect the best service from Payless Garage Doors Vancouver. If your garage door cables snapped, all you have to do is give us a call. Our company has emergency 24 hour contractors for such problems. We know that your garage door won’t move without cables. So, we replace them fast. If one of them is replaced, we never forget to check the cable at the opposite side of the door and make sure the door is balanced. We are proud to have meticulous technicians at our team. Your Garage Doors couldn’t have better contractors for their services. We know how to deal with spring pulleys and a garage door cable came off the drum. We deal with such issues every day and make sure they don’t happen again at your home. We ensure that your new Garage Door Cables are installed properly and the whole system is well balanced and functional. The good thing with our technicians is that they pay attention to every single detail. They will tell you when the pulleys start showing signs of wear and whether the loose cables should be replaced or fixed. We excel in cables and rollers replacement and are available at any time. We are competent and honest as every member of our team at our Payless Garage Doors in Vancouver. 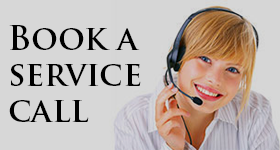 The significant thing is that we can assist you with cable issues 24/7 and our services are always great.